No, no, before you ask, we haven't gone vegetarian. 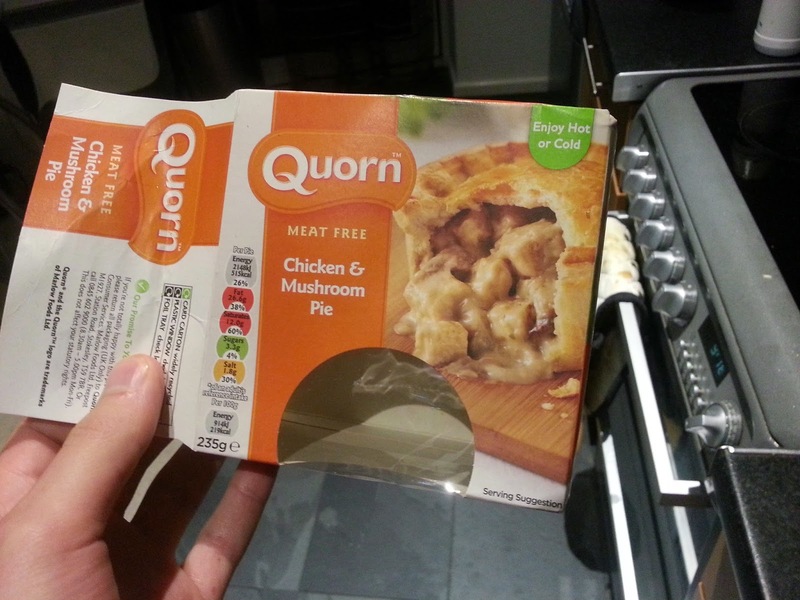 This might be our second veggie Quorn pie review in a row, but that's just because I've spotted an expanded Quorn section at my local ASDA. The Quorn pork pies we previously reviewed were, whilst palatable, an air-filled disappointment. 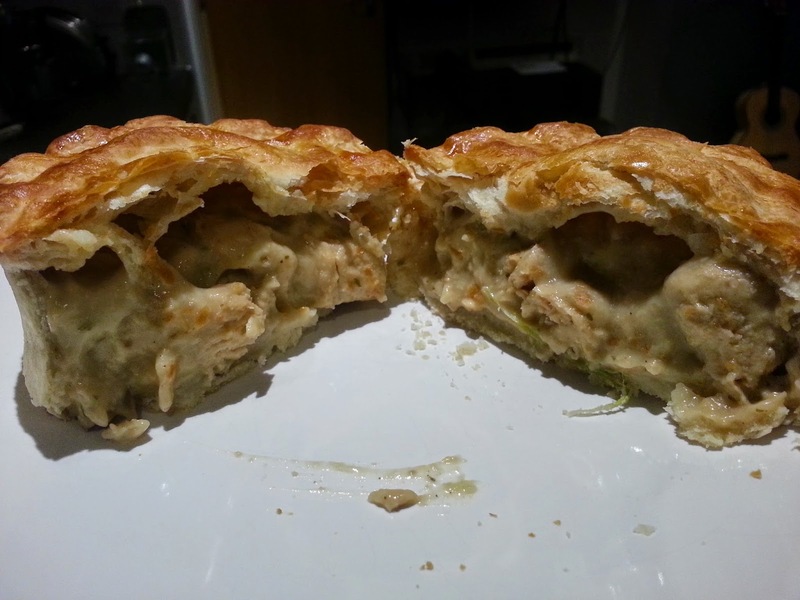 What will we make of this Quorn Chicken and Mushroom pie? 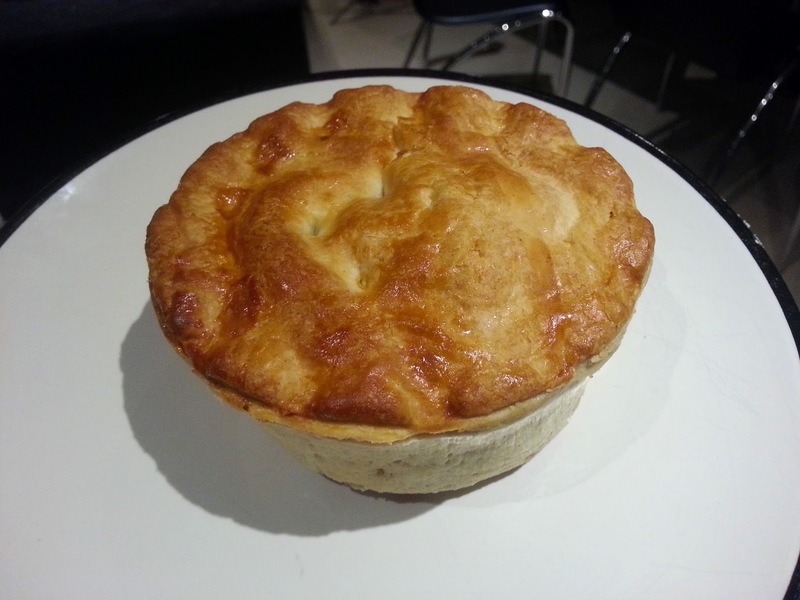 At £2, this is fairly cheap for a regular sized 1-person pie. Of course, it's by no means the cheapest (the £1 pie is not uncommon), but then again it doesn't cost £3+ like the likes of Pieminister or Higgidy. After some time in the oven, the puff pastry lid is a nice golden brown colour. The cross-sectional view shows that the pie has a notable air gap between the filling and the lid, which isn't great. Also, the filling looks rather grey and a bit mushy. I don't know how they got the pie to look like the photograph on the box, but my pie really doesn't look like it's remotely related. I am not really a fan of mushrooms, although I am starting to accept them a bit more now. However, this pie tasted very strongly of mushrooms. I suppose if there is no taste of real chicken to balance it out, then the mushroom flavour is of course going to be overpowering. I also couldn't spot any mushroom pieces in the grey filling (they may have been there, but I couldn't spot any). I was impressed at how real the Quorny chicken actually looked. However, the Quorn had little taste, so everything just tasted strongly of mushroom which I felt was rather unpleasant. Where were the wholesome, chunky vegetables? Where the were the nice added touches, like some added herbs? The inside of this pie just reminded of a cheap £1 pie, except double the price. In the end, I just started eating the pastry so I didn't feel like it was £2 completely wasted. Also, take a look at that saturated fat content in the first photo - at 60% of your daily intake per pie, I am stunned. Good job I didn't eat all of it. Overall, I didn't enjoy this pie. In my opinion it was overpowering in mushroom flavour, and I personally would have much preferred a pie filled with nice veg than imitation chicken. I have enjoyed other vegetarian pies in the past much more than I enjoyed this pie.